Hello, again! It's been soooo long. Okay, so I read an awesome book and thought today (Friday) was Thursday, so now I'm postponing this until Saturday. Then, you'll have a fun bunch of randomness on Sunday! 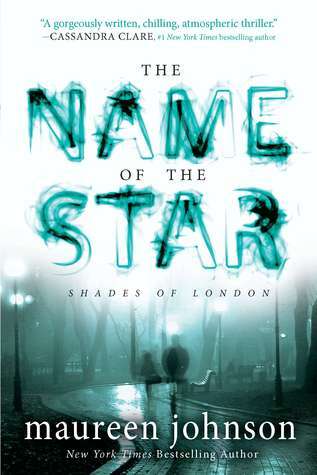 So this novel is The Name of a Star by Maureen Johnson, and it's the first book of "The Shades of London" trilogy. The first two are out, and the third will be coming in 2014. 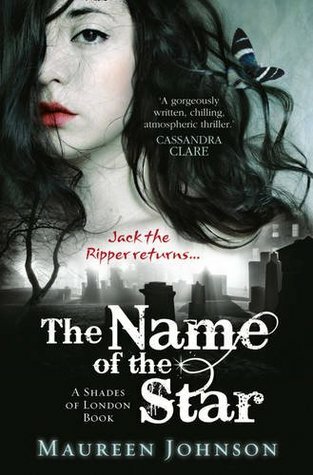 If you can't deal with a bit of blood and such, please do not read, as this novel mentions murder and Jack the Ripper and such. First, look at this cover!!! Actually, there have been three, so I'll let you see them all!!! All so pretty, huh? Okay, so read the summary before I decide to flip out and babble on about how flipping awesome this novel is!!! Summary: "The day Louisiana teenager Rory Deveaux arrives in London marks a memorable occasion. For Rory, it's the start of a new life at a London boarding school. But for many, this will be remembered as the day a series of brutal murders broke out across the city, gruesome crimes mimicking the horrific Jack the Ripper events of more than a century ago. So right off the bat, I love the main character. She sounds like me and my inner thought process. The author honestly portrayed the characters as they would really speak. She doesn't go for useless slang, but instead had the character just as somebody would today. I know that this novel involves murders and such, but please understand that there's plenty of humor! Humor that's done very well. Then there are the rest of the characters, who were all well-rounded. You got a chance of experiencing and seeing each character's true colors and lives. Each character is unique and is shown (and a little told, of course) to be a very realistic person that you could meet on the street. Every happening in the novel seem so realistic. From going away to school in London to the Ripper coming back, there was not one ounce of fake; I could picture it all. 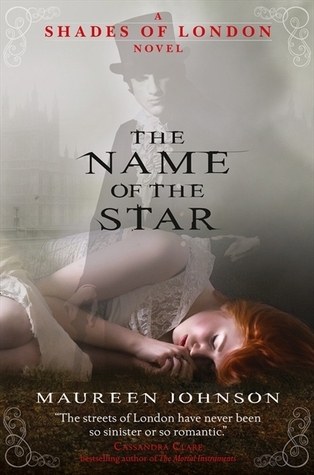 Johnson totally took my mind into the novel, the story, the settings, that I absolutely saw it all as real. The plot is wonderful, and very unique. I loved the idea of Jack the Ripper coming back, and if anybody other than Maureen Johnson wrote it, it would not have been this amazing and flawless. "You told him I have period fever," I replied. "There's no such thing as period fever." "No, there is really no such thing as period fever. There's a difference between being a guy and being an idiot." In Conclusion: Unless you can't stand any amount of gore, read this. Heck, if you do, skip the gore and go for it! This is one of my favorite novels now, and I'm so glad that I chose to read this novel next! It's going to be difficult to find a read as great as this to read next.